831 Glencairn Avenue Condos - Maziar Moini Broker Home Leader Realty Inc.
831 Glencairn Avenue Condos is a new condominium development by Chestnut Hill Developments currently in pre-construction located at 831 Glencairn Ave, Toronto in the Glen Park neighbourhood with a 83/100 walk score and a 84/100 transit score. 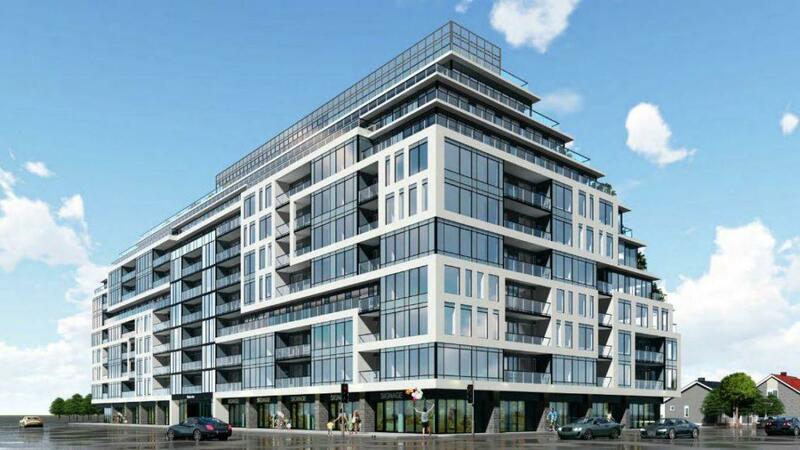 831 Glencairn Avenue Condos is designed by Kirkor Architect + Planners. The project is 10 storeys tall and has a total of 224 suites. 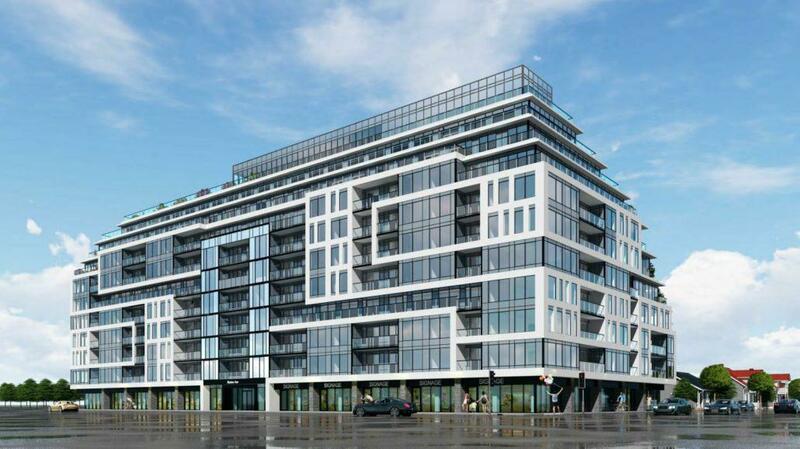 831 Glencairn Avenue Condos is currently in Registration Phase. Mixed-use Real Estate projects are undeniably the perfect addition to an emerging area, which is why this upcoming project is perfect for the Greater Toronto Area’s midtown region. 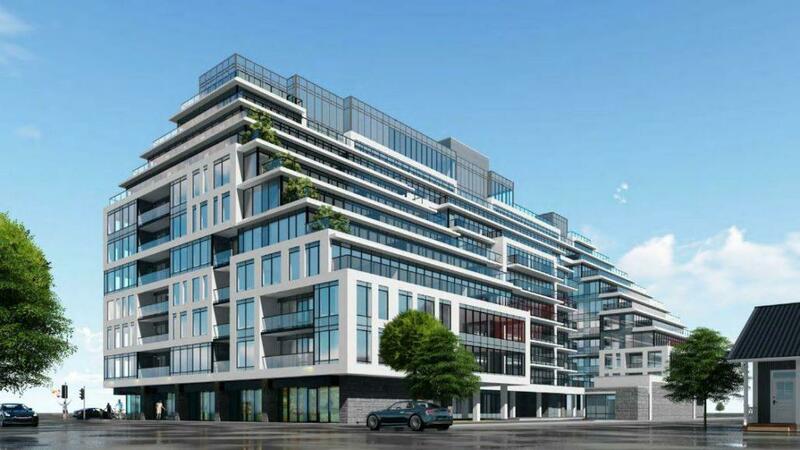 831 Glencairn Avenue Condos is a pre-construction condo coming to North York’s Glen Park neighbourhood. A development from Chestnut Hill Development, it is slated to stand 11 storeys high, and house 224 units. The expansive project will span 831,8833 and 837 Glencairn Avenue as well as 278, 280 and Hillmount Avenue. The mixed-use development will include residential space, and retail space. This multi-purpose real estate building is the perfect urban addition to the emerging area, making it the perfect place to invest in the burgeoning city of North York. Headed to the Glen Park neighbourhood of North York, this real estate development boasts a unique and aesthetic modern exterior design courtesy of architects Kirkor Architect + Planners. The wide-set expansive building features a stunning mix of black and white accents, with unique blue tinted glass panels. Complete with a stunning and innovative stepped back design, the minimalist aesthetic makes for the ideal contemporary addition to the increasingly urban area. The mid-rise is set to house 224 units comprised of 167 one-bedroom suites, 45 two-bedroom suits and 12 three-bedroom suites. Eight of the one-bedroom suites will be designated live-work units. The suites will range in size from 625 square feet to 1,100 square feet. Each floor will hold between 8 to 33 units, and a variety of balconies will be available throughout. It is set to stand 11 storeys high at 29.45 metres tall, with the top floor being home to amenity space, which is anticipated to include a green roof. The building will house 3,682 square feet of retail space at floor level. The development will make 448 square metres of indoor amenity space and 448 squares metres of outdoor amenity space, available for residents’ leisure. Residents will have access to 168 parking spaces, with an addition 22 for residential and retail visitors. This real estate development’s location nestled between Glencairn Avenue and Hillmount Avenue places it a three minute walk away from Glencairn station. The building is also nearby Eglinton West Station and Lawrence West Station, respectively a ten and seven minute walk away. This proximity to public transit makes this development ideal for students and young professionals alike who require seamless access into the downtown core for Toronto’s many schools. job opportunities and plentiful entertainment and bustling social scene. The building site boasts a walkscore of 83 out of 100, transit score of 84 out of 100l and bike score of 76 out of 100 with its bike lanes. It doesn’t get more central than this site that is also located nearby the Yorkdale GO Station. This is ideal for day trips around the city, and provides a further reach to other job areas making it easy to work 9 to 5 anywhere and be home for dinner. Additionally, drivers will enjoy being nearby the Allen Expressway and Highway 401. You truly can get anywhere from this centrally located site, making it ideal for a wide variety of lifestyles. After all, the neighbourhood is one on the rise, home to a population of 14,804 as of 2016 — this is a 0.8% increase from 2011. Students are likely to flock to this development thanks to its variety of one bedroom units, and two bedroom units ideal for roomates. This building’s location makes it perfect for students who may not want to live right on campus but want a clear transit route to school. Being minutes away from Line 1 means that major university campuses like University of Toronto, Ryerson and even York University are all a handful of subway stations away. Anticipated early and late classes will be no obstacle from this location, making it ideal for investors due to such high volume of people who will find it to be ideal for their lifestyles. Speaking of ideal for lifestyles, growing families opting for the two (or more) bedroom units will love having such a wide variety of transit options that will allow them seamless access to and from Toronto and the GTA’s wide range of job centres from the uptown North York Centre to the city’s Entertainment District and Financial District. There is something to be said about making roots in an urban neighbourhood that is both located nearby the city and removed from its hustle and bustle. This makes for exciting busy days, and a quiet home for business professionals with families to return to and unwind after a long work day. Families will also enjoy being nearby schools like the Glen Park Public School, STS Cosmas and Damian Catholic School, and other family-centric leisures like a wide range of parks, and Glen Long Community Centre that is also home to Glen Long Community Centre. This neighbourhood’s appeal to wide range of lifestyles makes it the perfect place to invest. This reason for investment is clear, with 40% percent of the neighbourhood population being of working age, between the ages of 25 to 54. The average income of 13.8% of region is $60,000 to $79,999 — this is the prominent income group of the population. With Yorkdale Mall in your backyard, residents can treat the mall as their walk in closet with such a wide range of retailers to choose from — that suit a range of budgets. The mall makes for the ideal day adventure with its variety of restaurants and its movie theatre. The Cheesecake Factory is a particular addition that attracts a large volume of people. With such a range of entertainment and transit options, this neighbourhood is one to invest in, and this centrally located and diverse development is the perfect opportunity.